This year, the Adobe summit takes place in London (3-4th May), where digital marketers can attend over 140 sessions to gain valuable insights, tools and techniques for keeping customers engaged and driving brand loyalty and growth. Key to a successful event is ensuring that the technology across the conference runs smoothly and without interruption. We are pleased to announce that, yet again, NetSupport’s award-winning remote control solution, NetSupport Manager, has been chosen to help ensure this. Using NetSupport Manager, the event’s support team can remotely monitor and manage all of the event’s technology as well as the entire network, allowing labs and workshops to take place uninterrupted. To learn more about NetSupport Manager, click here. 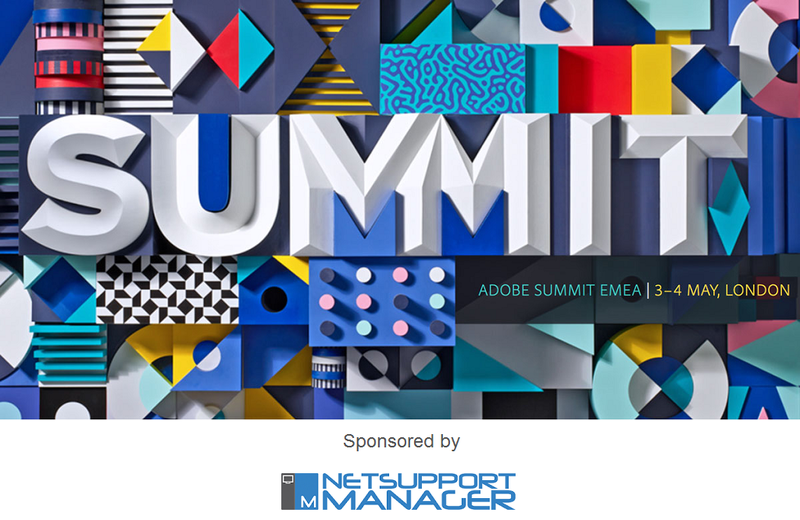 To learn more about the Adobe Summit, click here.